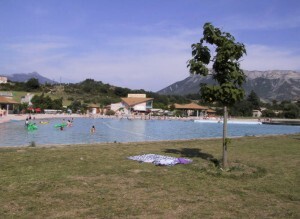 In addition to the pool at the airfield (which may or may not be available), there is a Plan d'Eau at Sisteron, a lovely cascading river at the Gorge de la Meouge, near Laragne and a resort-style man-made lake at the Domaine de Germanette, near Serres. Many of the local towns hold markets on various days. 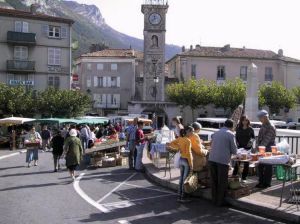 The Sisteron market is held every Wednesday and there is an excellent market at St Auban on Sundays. 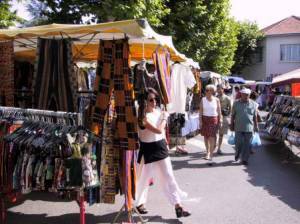 Further afield, the Monday market at Forcalquier is well worth a visit. 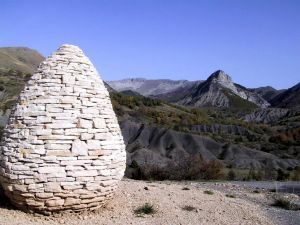 Guillaume, near Embrun There are many opportunities for walking in the area. 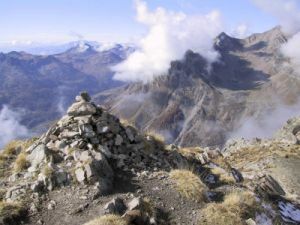 Some excellent local walks may be found within a 20-minute drive of the airfield and for those willing to invest more driving time, even some of the outlying mountains of the Ecrins are feasible for day walks. See the La Toupine Walking Pages for more details. 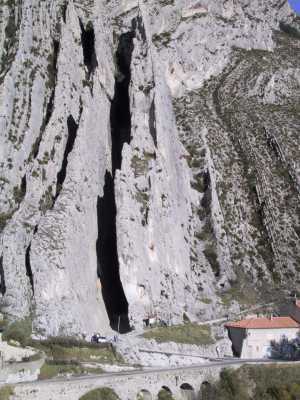 If you prefer your excursions on wheels, there are many interesting places to visit on a day's drive from Sisteron. Local drives through the pre-Alpes de Digne are highly recommended. To the south lie the Gorges du Verdon, the historic town of Manosque and the elegance of Aix-en-Provence. To the north lies the old town of Briançon at the north-eastern tip of the Ecrins and close by is a road that leads up to a car park (and a restaurant!) below the Glacier Blanc. Railway buffs may enjoy the little train that runs through the high mountains from Digne to Nice. This is France - it is difficult to eat poorly here. One obvious and convenient restaurant is Le Janus at the airfield. Le Pikothym is handy for those staying in Valernes and Le Dromon for those in St Geniez. Sisteron itself has a wealth of restaurants with prices to suit all pockets. Highly recommended are La Voûte and Les Arcades (pizza), l'Akène (creperie), le Brassero (grill) and Les Becs Fins (gastromique). A recent recommendation is l'Araignee Gourmande at Laragne. Those with large wallets and demanding spouses should also consider a visit to La Bonne Etape at Chateau Arnoux, famed throughout France for its cuisine. It also owns the much cheaper option of Au Gout Du Jour, just next door. 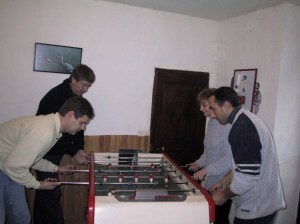 Horse-riding, mountain biking, paragliding, white-water rafting, rock-climbing, motocross, quad-biking, wine-tasting, fishing, kayaking, tennis, via ferrata and visiting the pub are all accessible locally.